Chaudhry Abdul Ghafoor Qamar was born in 1916 in Pindi Umra, a remote village of District Gurdaspur (United India). He obtained his Masters Degree from Government College, Lahore in 1941 and later got King’s Commission in the Royal Indian Navy. After serving there for a few years, he resigned and contested the Punjab Legislative Assembly Elections from Gurdaspur. He was elected as Member of the Assembly. 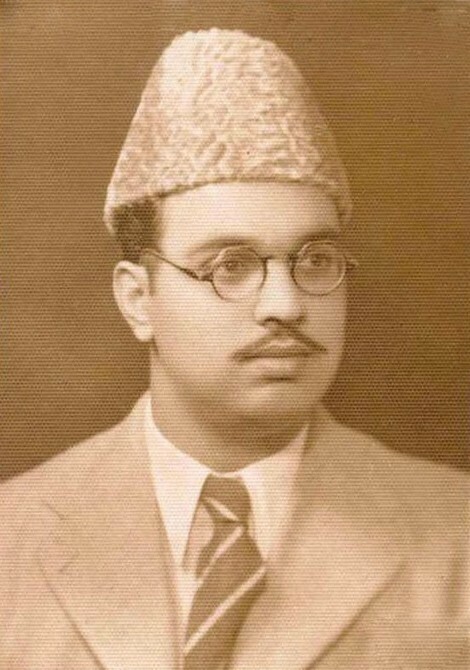 He was later elected as Member of District Board Sialkot after the creation of Pakistan. In early fifties, he did his LLB from Law College, Lahore and started practising as a lawyer. In token of his commitment to the cause of Pakistan and his participation in Pakistan Movement, he was posthumously awarded Gold Medal by Pakistan Movement’s Worker’s Trustin 2010. Chaudhry Abdul Ghafoor Qamar met Allama Muhammad Iqbal on many occasions. He mentioned many times that he derived inspiration for ‘Ishq-e-Rasool (PBUH)’ from Allama Iqbal. The monumental work of Intikhab-e-Naat (the largest collection of Naat in Urdu) itself speaks for his devotion and love for the Holy Prophet (PBUH). In 1975, he established Madrissa Tadreesul Quran in his native village for the spread of Quranic education in the area. It is being run by a Trust named ‘Abdul Ghafoor Qamar Welfare Trust’. All the proceeds from Intikhab-e-Naat go to this Trust.